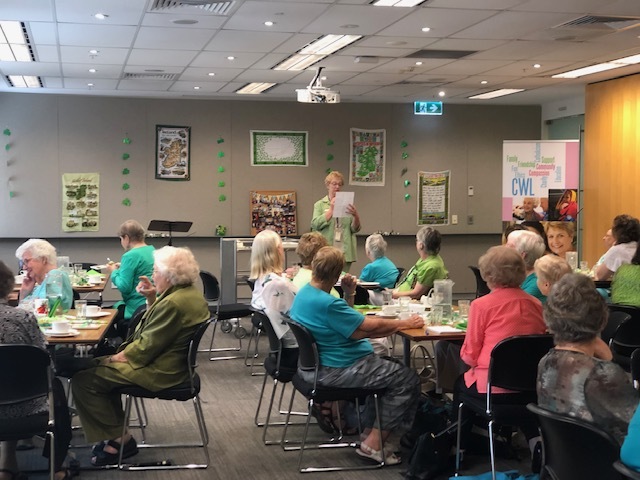 Our St Patrick’s Day luncheon was one full of much laughter and fun - and LOTS of green! 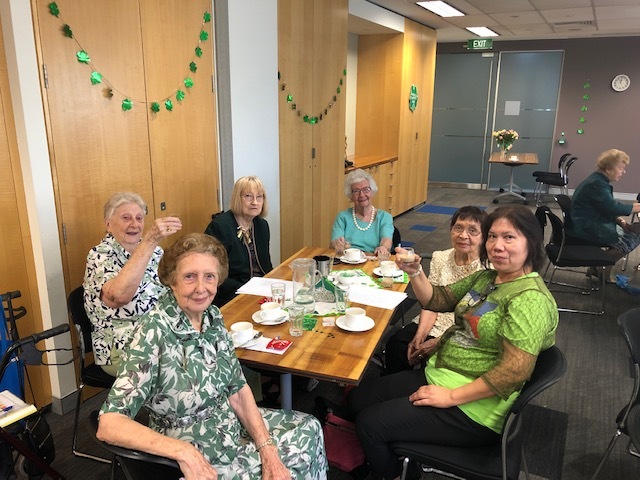 Members showed off their Irish knowledge during our Irish Quiz, before enjoying a glass of Bailey’s with mini green cupcakes, green jelly, and pavlova. 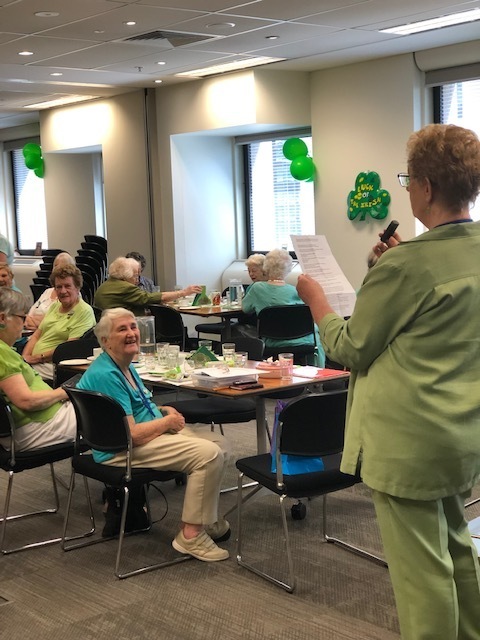 Secretary Sandra Skarsky told some Irish jokes while some Irish tunes played in the background. Thank you to all who helped with decorating, baking, and cleaning up! 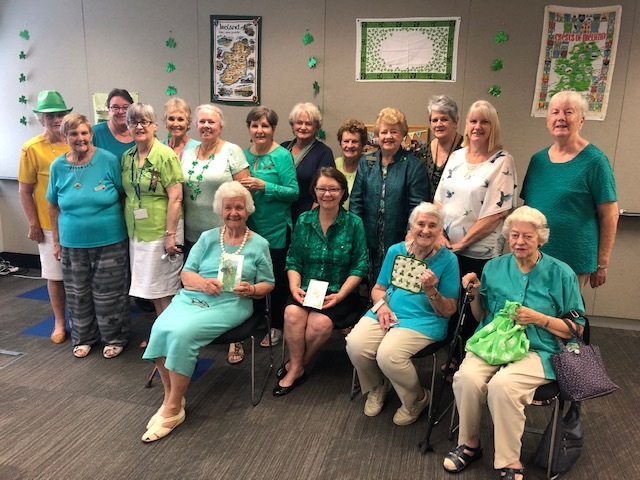 It was wonderful to see everyone dressed up and celebrating all things Irish!